Granite Falls is a very small city - population under 4,000 - in northern Snohomish County, Washington. Situated on the Stillaguamish River, it's considered the gateway to the Cascade Mountains. 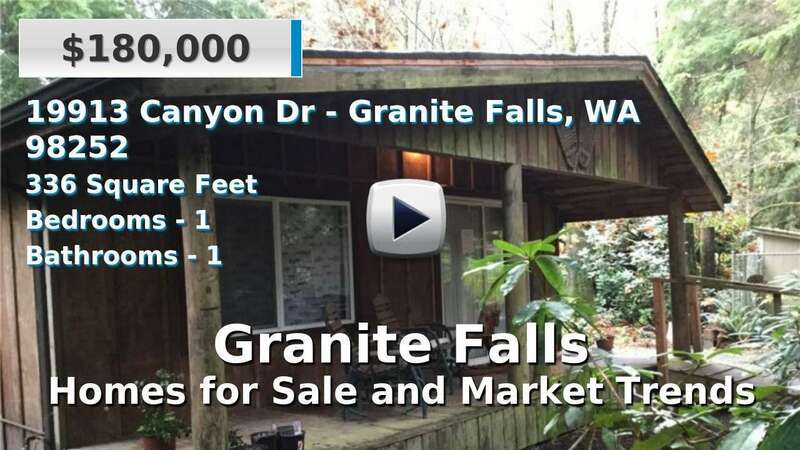 Homes for sale in Granite Falls range from well-established to newer and it's one of a few truly rural residential areas in the county. The closest neighboring cities include Arlington, Marysville, and Lake Stevens. Granite Falls is about 15 miles northeast of Everett and 45 miles northeast of Seattle. Less than 20 miles to the east is Mount Pilchuck State Park, a popular hiking destination. 3 Beds | 2.5 Baths | 1386 sq. Ft.
5 Beds | 3.25 Baths | 3484 sq. Ft.
4 Beds | 2 Baths | 2500 sq. Ft.
5 Beds | 2.5 Baths | 2505 sq. Ft.
3 Beds | 2.25 Baths | 3158 sq. Ft.
1 Beds | 0.75 Baths | 1216 sq. Ft.